The dawn of a new year is often a time to reflect on what has been and what is to come. At the Alabama Center for Childhood Cancer and Blood Disorders, we are excited about the opportunities to improve patient care, and we never cease to be amazed by a community determined to change things for the better. Our center focuses on three main goals – providing excellent patient care, participating in innovative research, and promoting the education of future leaders in our field. We continue to develop programs to improve patient outcomes. Among the examples is our Developmental Therapeutics Program led by Gregory Friedman, MD, who assumed the helm of the program this year. Children’s is one of only 19 sites nationwide to participate in the Children’s Oncology Group phase 1 and 2 consortium, giving our families access to the newest drugs without having to travel out of state. 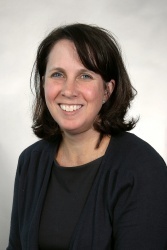 Elizabeth “Lilly” Alva, M.D continues her work in our Cancer Predisposition Clinic, collaborating with our Cancer Genetics Program to develop personalized screening for children who have inherited cancer predisposition syndromes with hopes that early detection will lead to improved outcomes. In addition, Julie Wolfson, MD, MSHS is developing an Adolescent and Young Adult Oncology Program with our adult counterparts at UAB to ensure this population receives appropriate clinical trials and needed support. Research advancements this year include chimeric antigen receptor or CAR T-cell therapy, a breakthrough medical treatment for children diagnosed with leukemia who have relapsed multiple times and/or children for whom there are no other treatment options. It may lead to a long-term cure. We are also conducting the first ever pediatric phase 1 brain tumor trial using the genetically-altered herpes virus G207. Dr. Friedman has enrolled seven patients from across the U.S. and the preliminary results are promising. In addition, researchers at UAB through its Institute for Cancer Outcomes and Survivorship (ICOS) continue to identify ways to prevent or manage long-term complications from cancer and its treatment. Led by Smita Bhatia, MD, ICOS has received more than $10 million in grants from the NIH and private foundations, and published more than 250 papers in peer-reviewed journals. In a current study, researchers are examining long-term morbidity in pediatric cancer survivors, 60 percent of whom will eventually develop complications related to their cancer treatment. And in our role as a teaching hospital, we continue to train two fellows per year for three years. Our fellows have a lasting impact on the field and we often recruit our fellows to join our faculty, among them Jamie Aye, MD, one of four new pediatric hematologist-oncologists who joined the center this year. In 2018, 84 percent of children diagnosed with cancer will be cured of their disease with the use of treatment regimens developed in the last 25 years. In 2019, our experts, with the support of the community, will continue to move the needle toward a total cure. To learn more about the center, visit childrensal.org/cancer. Kimberly Whelan, MD, MSPH serves as the Interim Director of the Alabama Center for Childhood Cancer and Blood Disorders at Children’s of Alabama.